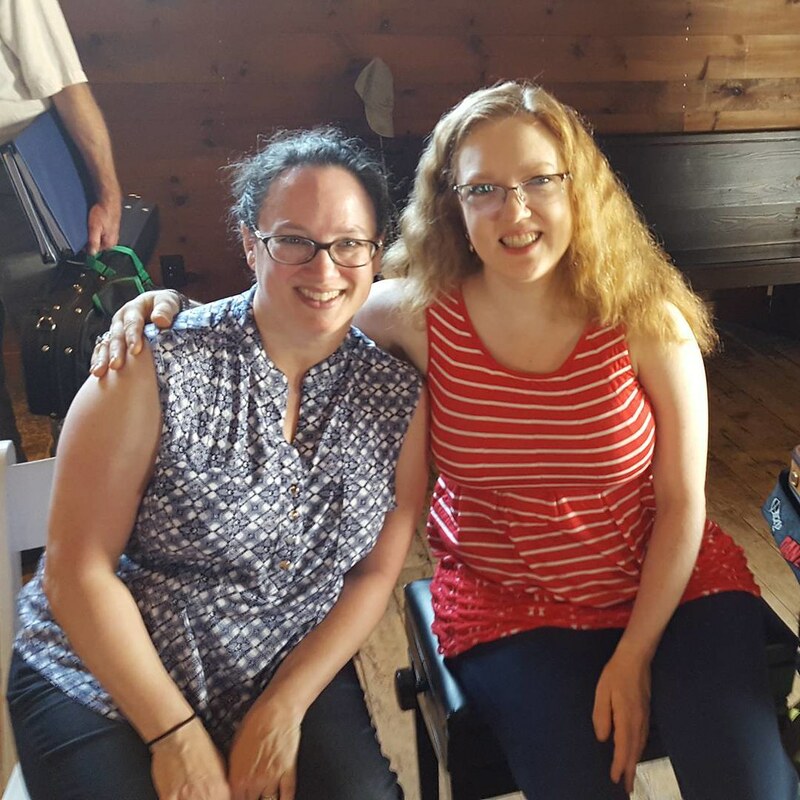 August 1, 2016, 7:34 PM · Who knew that there is a Scottish Fiddle Camp -- for adults! Last holiday season my teacher played a gig with Dr. John Turner. Dr. Turner told my teacher about the Jink & Diddle Scottish fiddle camp that he directs in Valle Crucis, N.C., and my teacher, in turn, told me about it. I didn't know a thing about Scottish fiddle music, but the description of the camp indicated all ages and all abilities. Since there are not that many options in the way of camps for middle-aged adult starter violinists, I was pretty excited about it. However, I know my many limitations well so I was also more than a little nervous. I had heard that many fiddle camps had a big focus on learning by ear. It was a relief when the email arrived several weeks in advance of the camp itself with a link to download the music we would be using. I did work on it a little, but being a classical musician doesn't give one the essence of how to make the notes on the page sound right. So, yes, I practiced some in advance, and it helped a bit. But I was far from sounding like a fiddler when I arrived. Once camp started, I was struck by the fact that the largest contingent of campers was near my age. Yes, there were some children there, but by and large, most of us were either in their 20's, or part of the more mature set. I don't think that is the aim of the camp. It might be because of the focused nature of the material, or because there are so many other draws on kids' interests over the summer. Who knows? The faculty was wonderful and included Dr. Turner, Mari Black, Calum Pasqua, Ralph Gordon, Tim Macdonald, Zack Lemhouse, and guest artist Rachel Barton Pine. Everyone was so encouraging and ready to welcome a beginner. It was refreshing to be included as an enthusiast. While I have been lucky to find this attitude several times, it isn't always the case. The friendliness came from across the board - from teachers and fellow students alike. The classes were top-notch and I enjoyed every one. If I could have, I would have taken all of the classes that were given. Every teacher had something special to offer. It was a shame to miss any, but some were concurrent with others, or conflicted with private instruction times. And of course, if one is jamming into the wee hours, one periodically has to grab a nap sometime during the day. Speaking of private instruction, we were given the opportunity to take a total of 1.5 hours of private instruction during the week. I was fortunate enough to have Mari Black for an hour and Dr. Turner for 30 minutes. I learned a ton! Having that individualized lesson time really helped me understand how to improve my Scottish fiddling. Group rallies in the evenings were great. Those of us (i.e. me) that didn't read well or play fast were given tools to enhance the overall sound of the group, including drones, reducing the number of notes we tried to play, or finding a complimentary rhythm. It was this kind of inclusive attitude that made this camp so much fun. Having not attended summer camp in more than 30 years, I had forgotten how much fun it can be! I wish I had taken more pictures, but here are my two favorites. August 4, 2016 at 06:39 PM · Hi, Krista! I'm glad you took advantage of that opportunity. I belong to a Scottish Fiddle Group (people of all ages) and the highlights of each year are attending Scottish fiddle camps run by Alasdair Fraser in Northern California. I have never gone but I should. I'm curious: I don't think of Rachel Barton Pine as a fiddler. What was she like in that role? It's interesting that you mentioned children in particular. I think you know now, based on your experience, that these aren't your usual summer camps. I'm not normally very fiddle-inclined, but that camp is very close to where I live, about 2.5 hours. 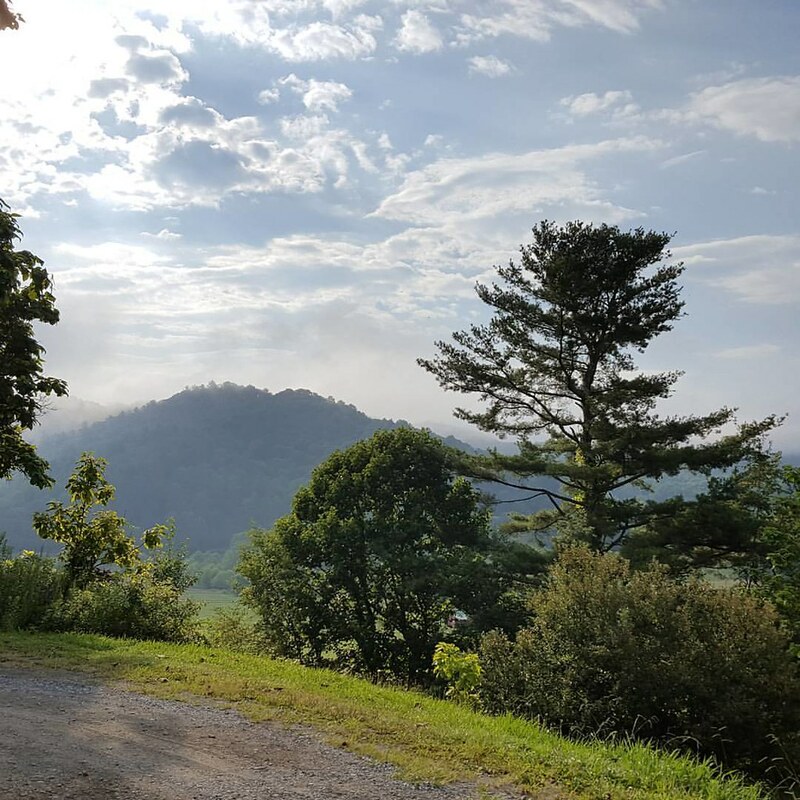 It's just west of Boone NC on the edge of the Cherokee National Forest, and I'm in Blacksburg, just on the edge of the Jefferson National Forest! One question -- are the venues generally air conditioned? Hate to be a wimp, but I don't like sweating all over my violin. Rachel Barton Pine is quite an accomplished fiddler. It was fun to watch her trade off tunes during classes and jam sessions. She knows so many! I was really surprised that there weren't more children in attendance. It seems as if those who start at a young age have more success in reproducing the flavor of the genre. The tunes are deceptively simple on paper. It's the ornamentation and bowing style that really make the music sound right. The kids have a real advantage with all the extra time and flexibility they have. Plus, their enthusiasm makes them fun to be around. You are correct. I edited my post to delete the hyphen. And yes, she can probably play whatever the heck she wants. I didn't know you lived so close to Valle Crucis. It was 5.5 hours from me. The buildings are not air conditioned. It was hot, and I did sweat all over my violin, but everyone else did as well. Participants who had been coming for several years said this session was unusually hot. Most years they recall it being much cooler. If you want to do the camp without the potential for sweat, there's a smaller session called "Jink in January" in the winter. I don't think there are classes, but if you want full-immersion Scottish fiddling, that might be an option for you. August 5, 2016 at 07:18 PM · Rachel Barton Pine collaborated with Alasdair Fraser for research on her recording of Scottish Fantasy (late 90"s? early 2000's? ), and plays with him on several trad Scottish tunes on that recording as well! August 8, 2016 at 03:32 AM · Thank you for sharing. I have gone to a fiddler's convention before a couple of years ago and had a decent time especially taking the classes. There were quite a few adult beginners like myself. We rather stumped our teacher because we picked up the songs so quick. But I have never been to a camp. I have felt intimidated by it. Plus I feel guilty going on a vacation by myself since my wife and daughter are not fiddlers. That said, I appreciate you sharing so I know that we adult learners aren't treated like excess baggage. I'm already self conscious about my playing. It would not be fun to be mistreated as well. I'm glad you had a great time and wish you the best in your endeavors. August 8, 2016 at 07:21 PM · @Carole, very interesting. Thanks for mentioning it. I felt a little guilty taking time away from my family as well, but I do it for work all the time. As fun as this is, it was still work (for me at least). Personal enrichment is something that can be looked at as beneficial for your family as well, since taking care of you helps you take care of them. It should also be noted that a number of attendees brought family members along who don't play. They were able to stay on the campus and take advantage of the lovely area while we all took classes. Then we came together for meals as a group. There's also a ball on Friday night that is well attended by locals and some out-of-towners. I don't think you should let a camp make you feel intimidated. With this one, you can elect to come just for a weekend to try it out. If you are interested, I encourage you to make the leap.